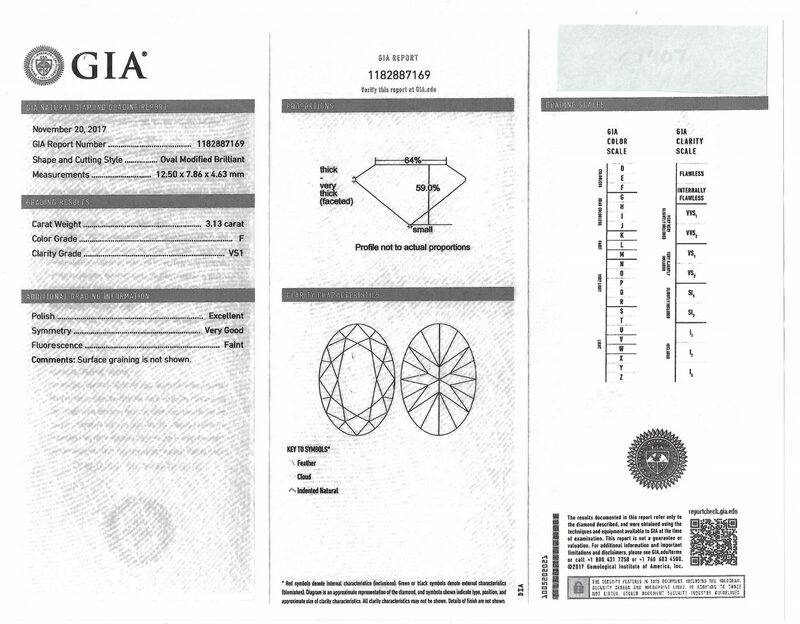 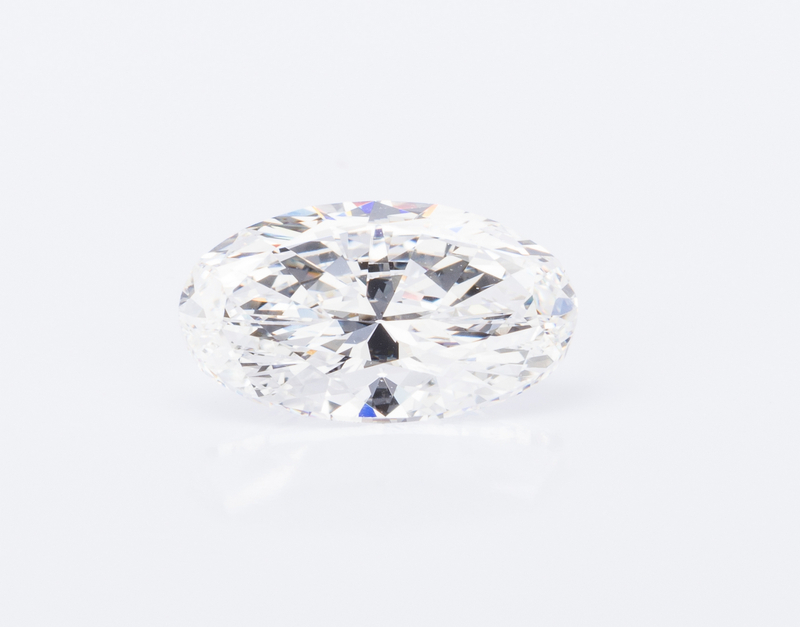 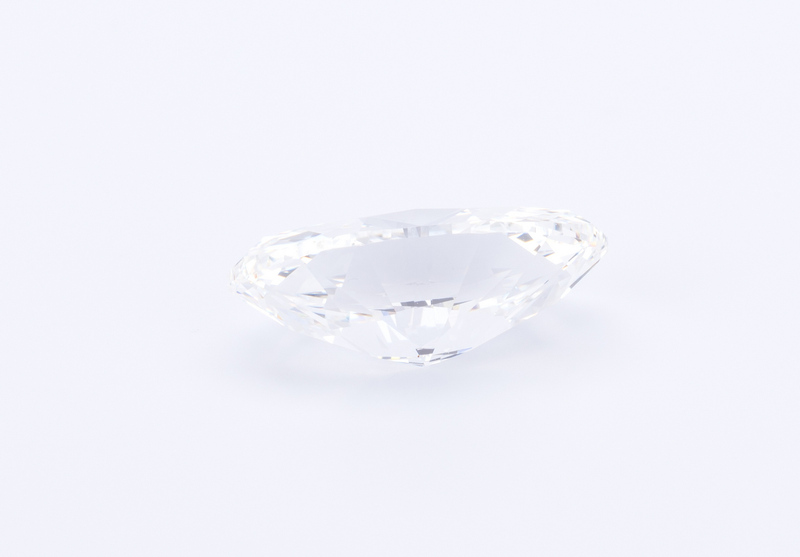 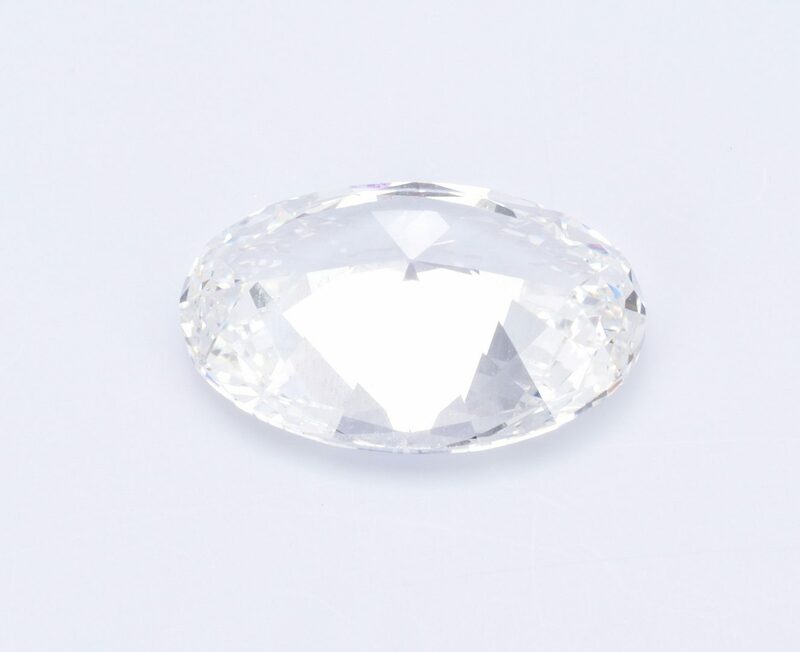 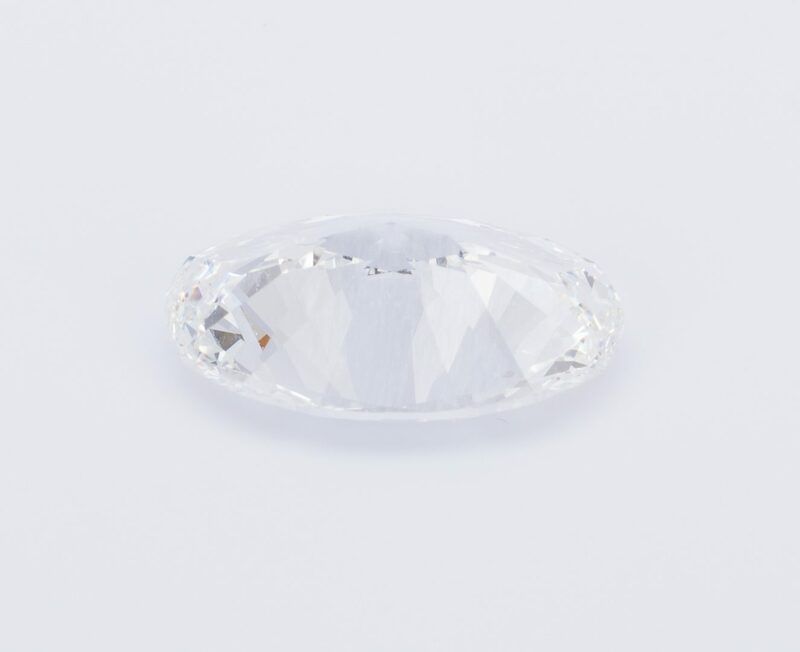 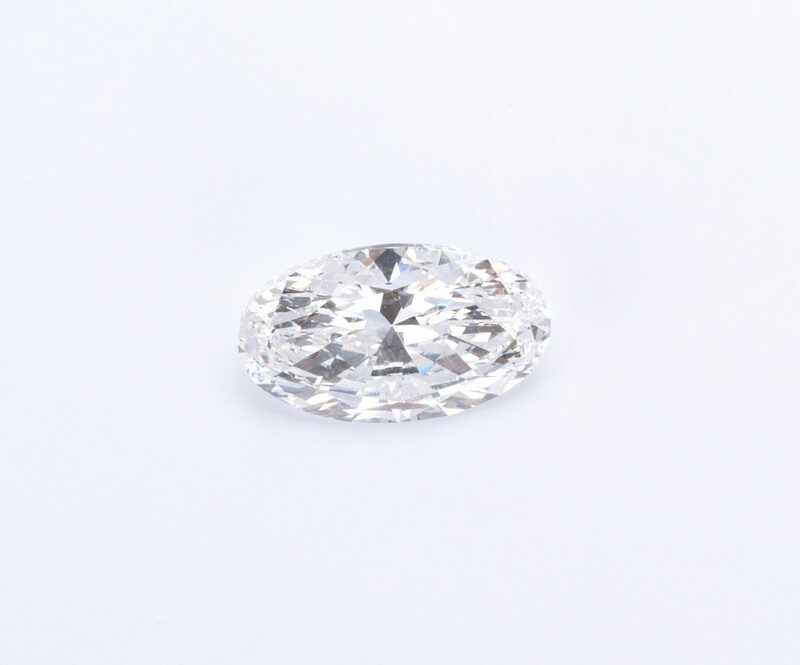 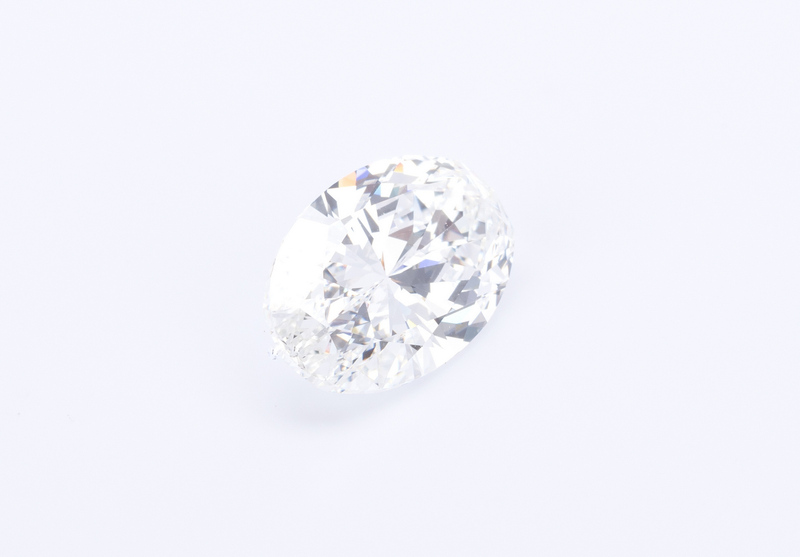 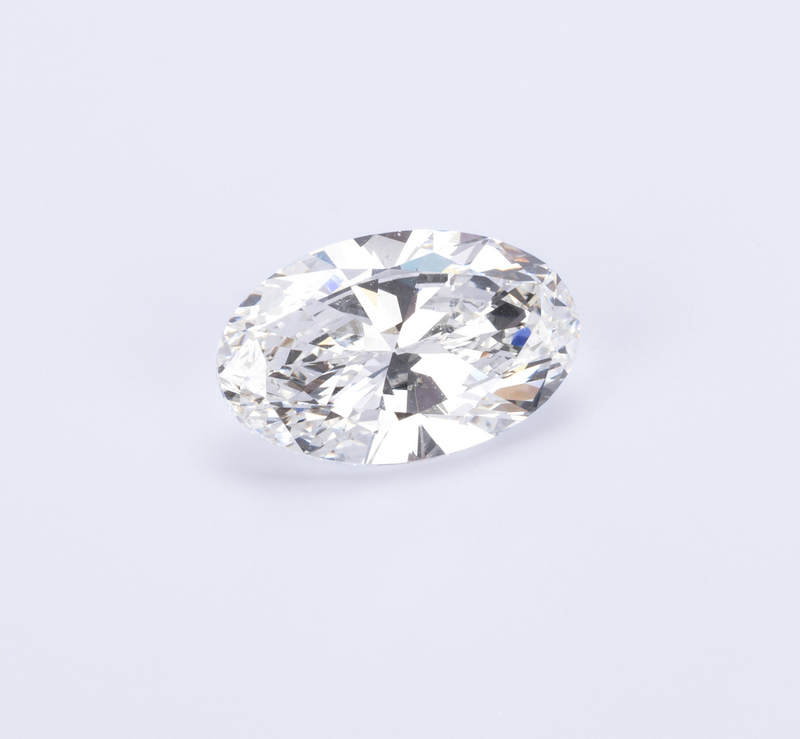 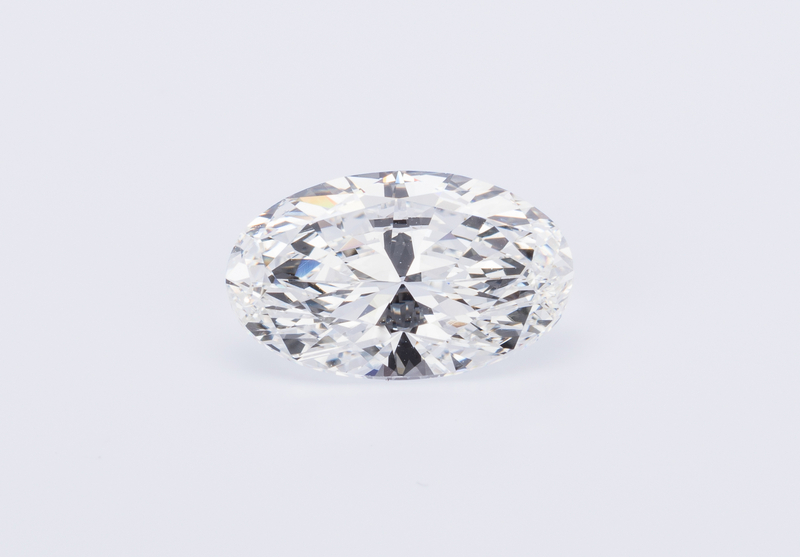 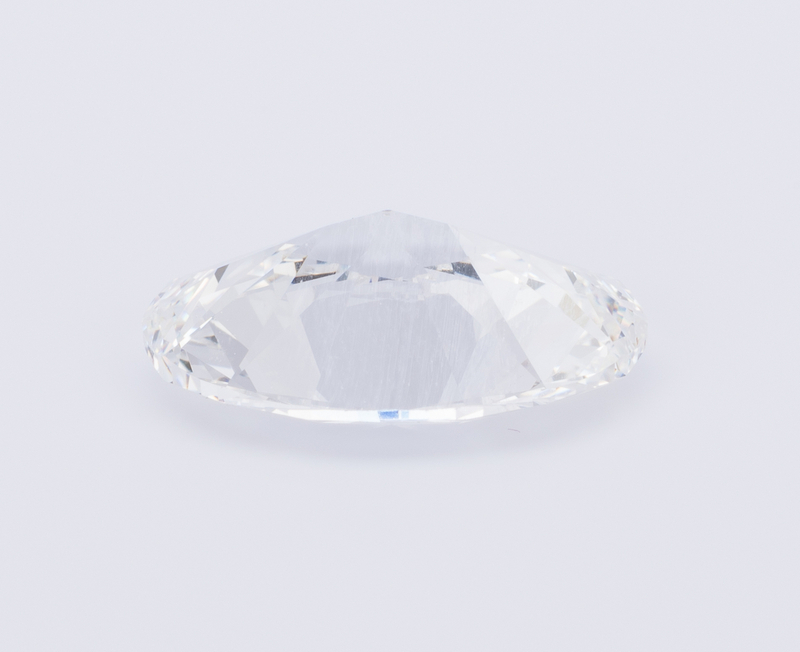 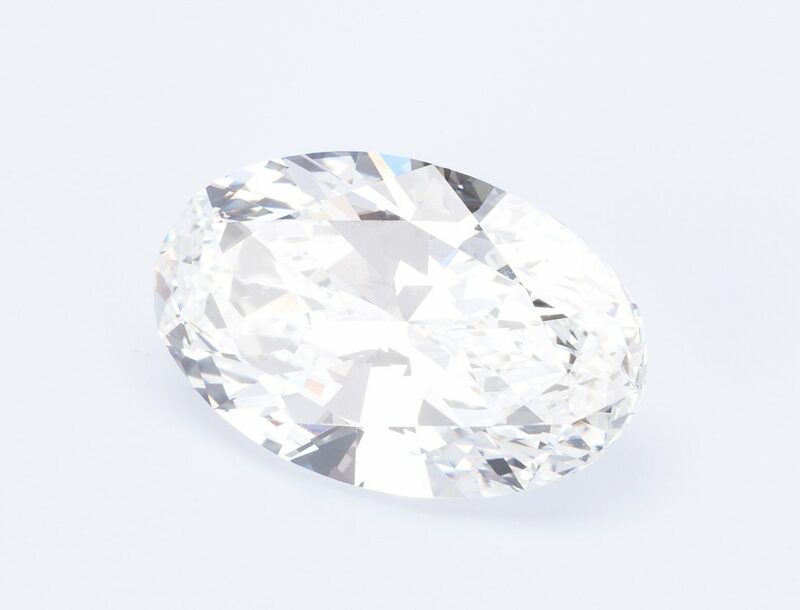 3.13 carat Oval Modified Brilliant diamond, F color, VS1 clarity, with GIA report 1182887169 dated November 20, 2017, measurements 12.50 x 7.86 x 4.63 mm. 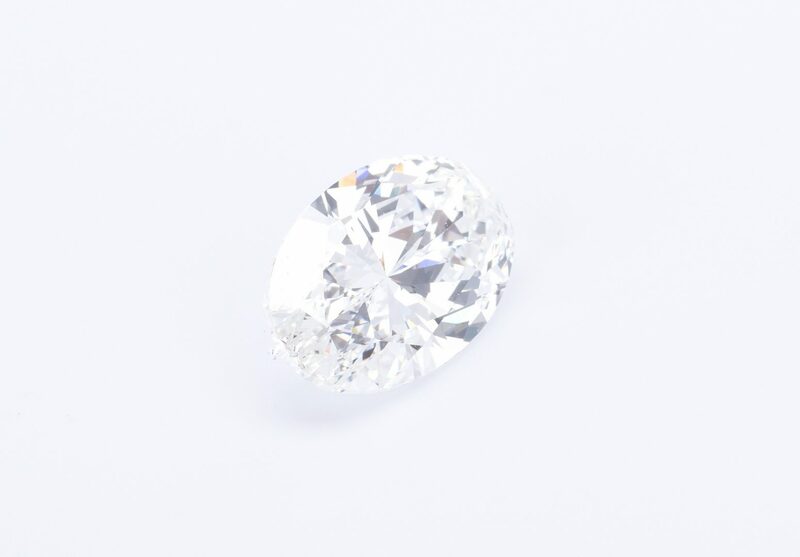 Depth: 59%; Table: 64%; Girdle: Thick to Very thick, F; Culet: Small; Polish: Excellent; Symmetry: Very Good; Fluorescence: Faint. 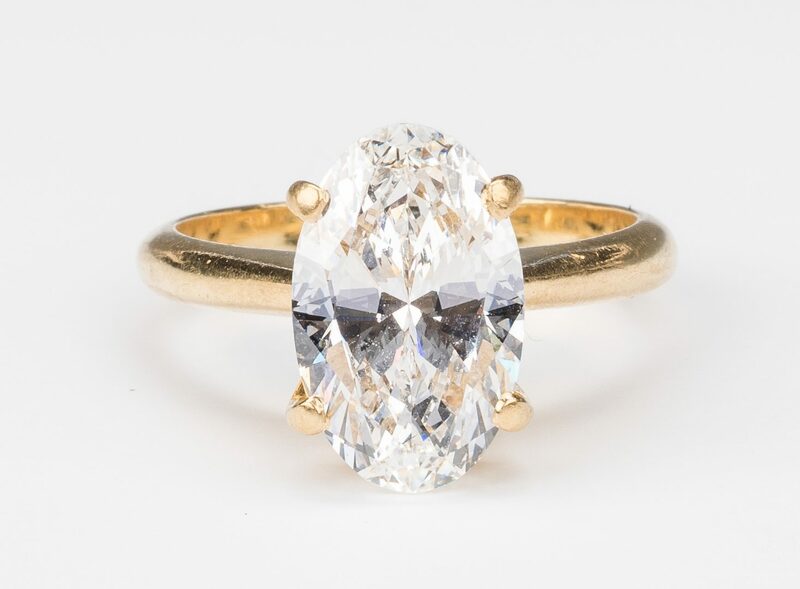 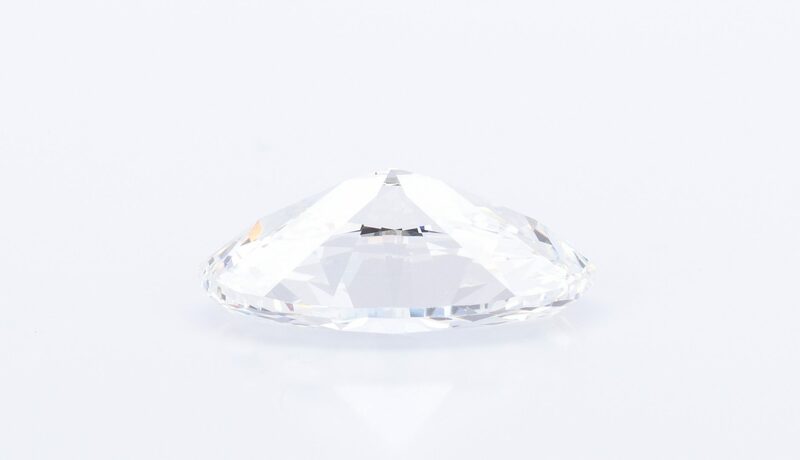 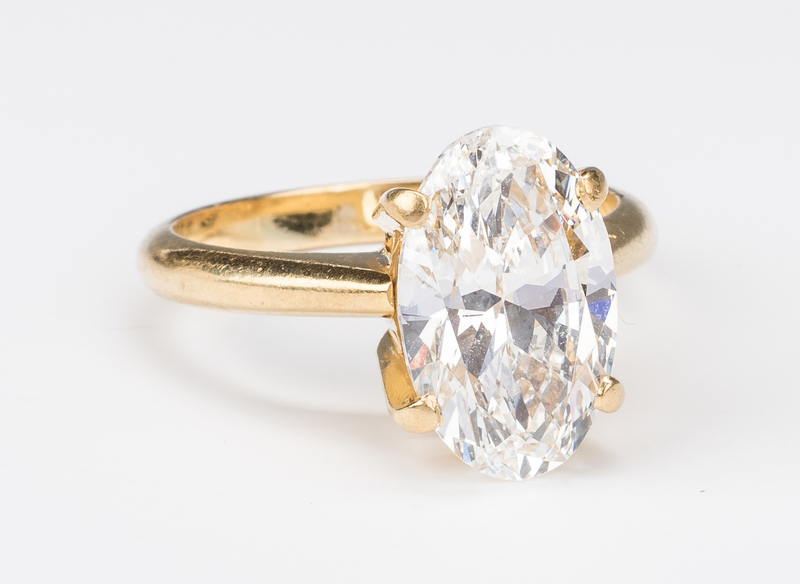 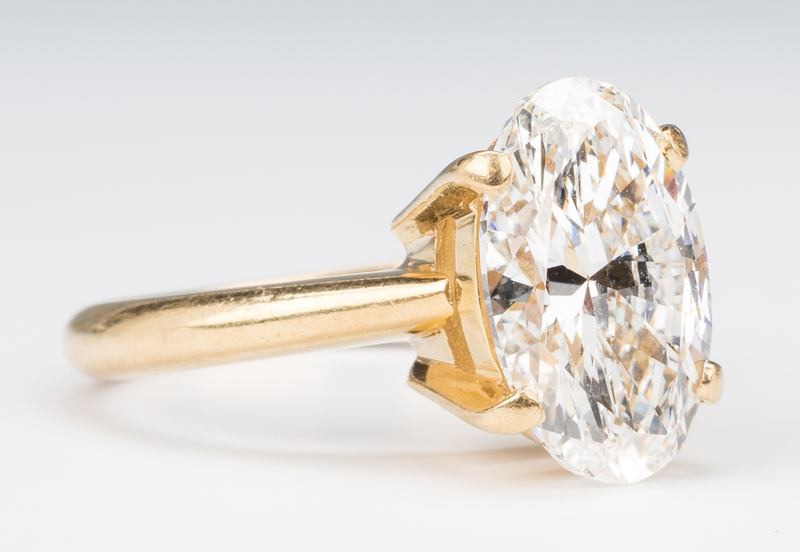 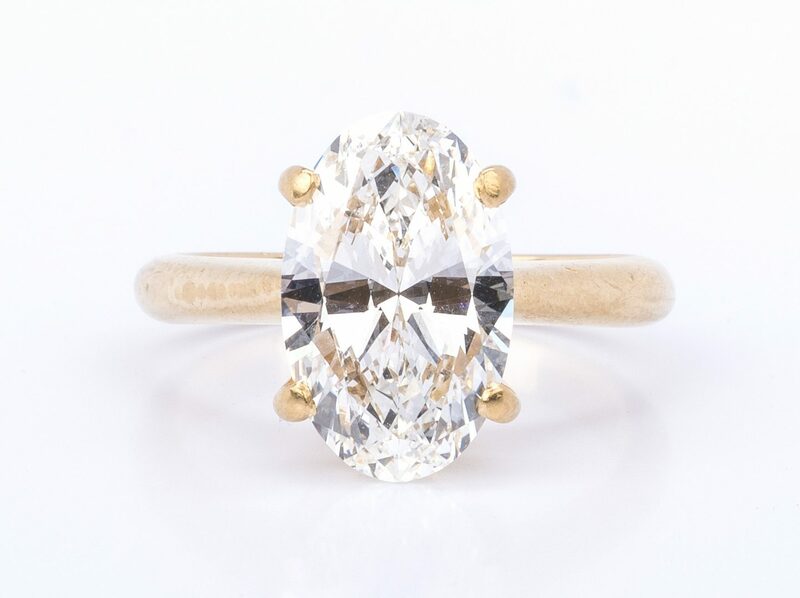 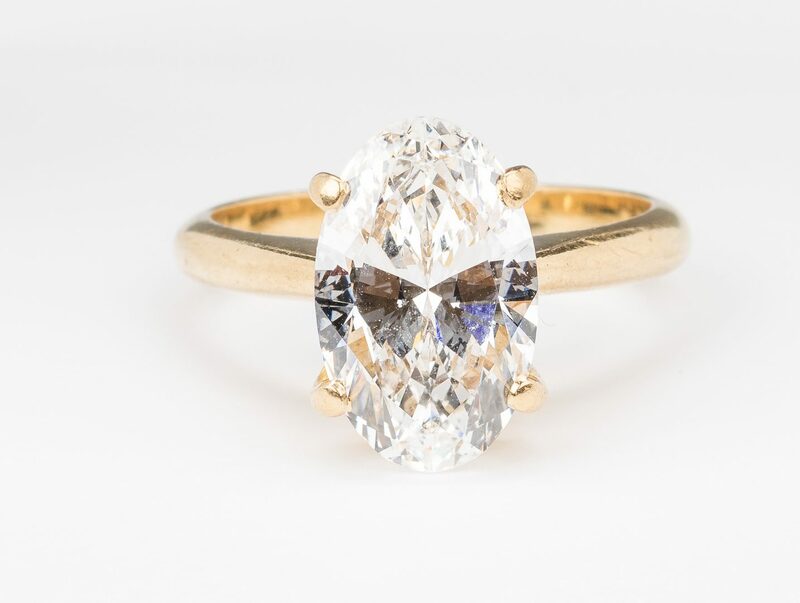 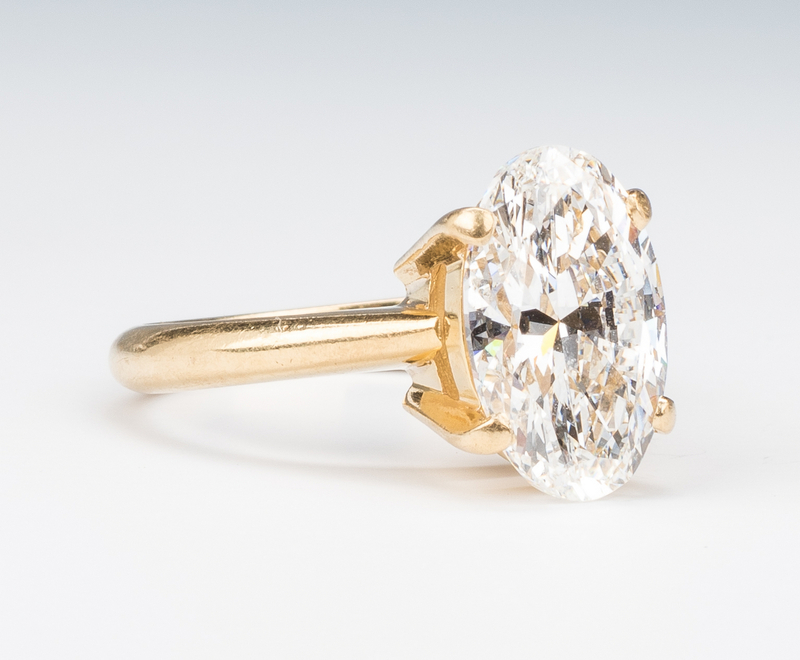 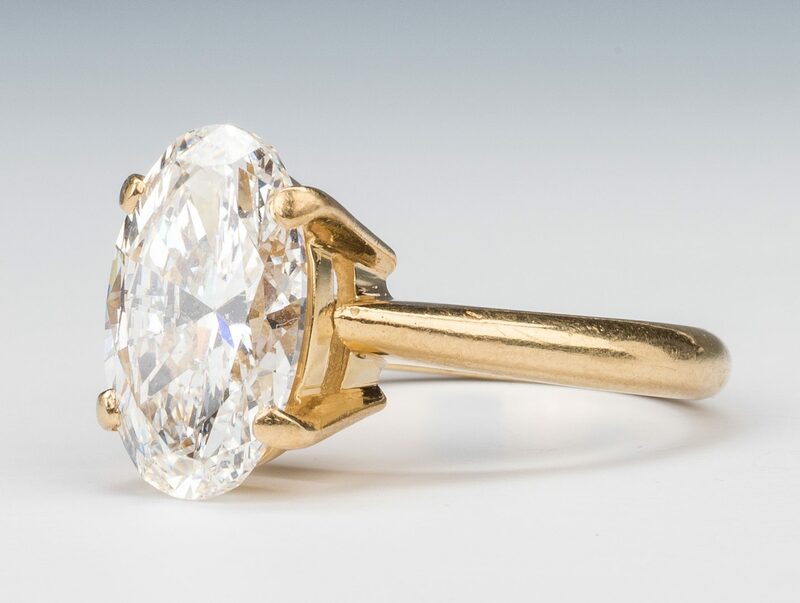 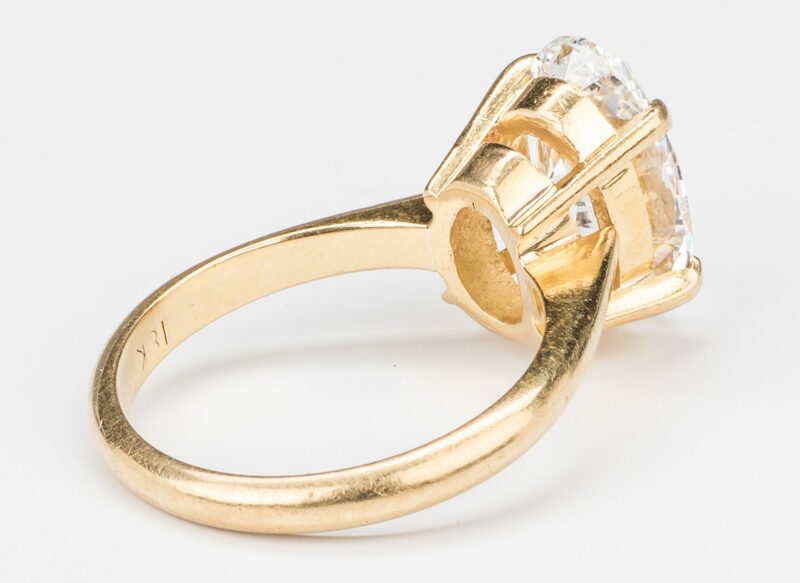 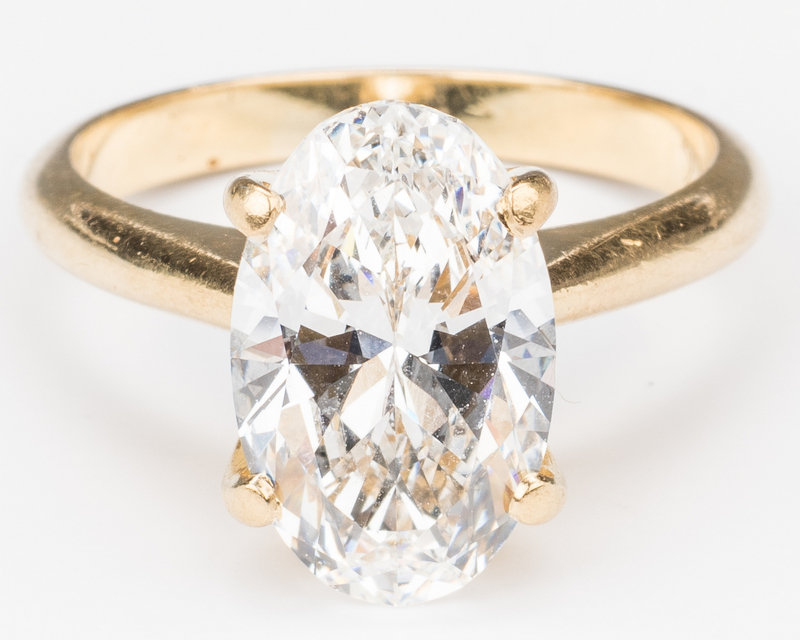 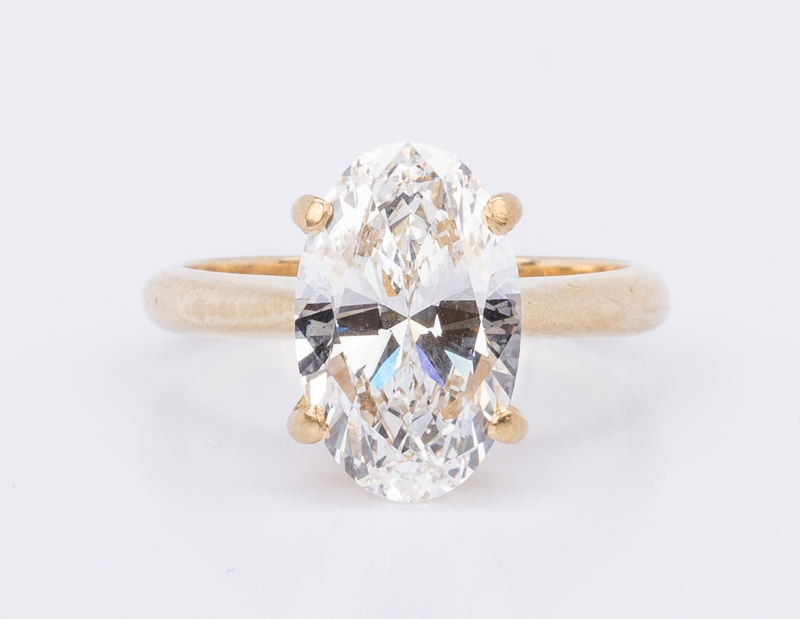 Clarity Characteristics: Feather, Cloud, Indented Natural, Surface graining is not shown.Diamond is mounted in a four-prong 18K yellow gold mounting. 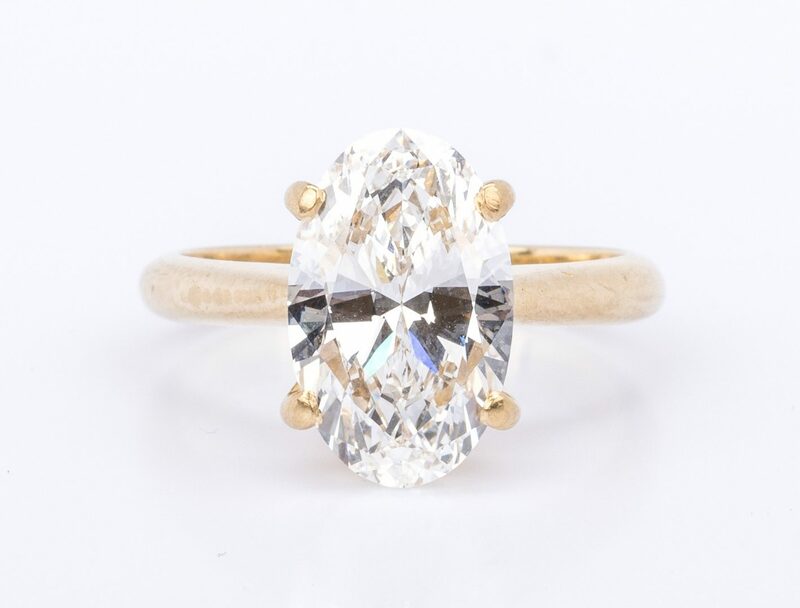 Ring size 5 1/2 slight. Provenance: Property of a private Knoxville, Tennessee collector. 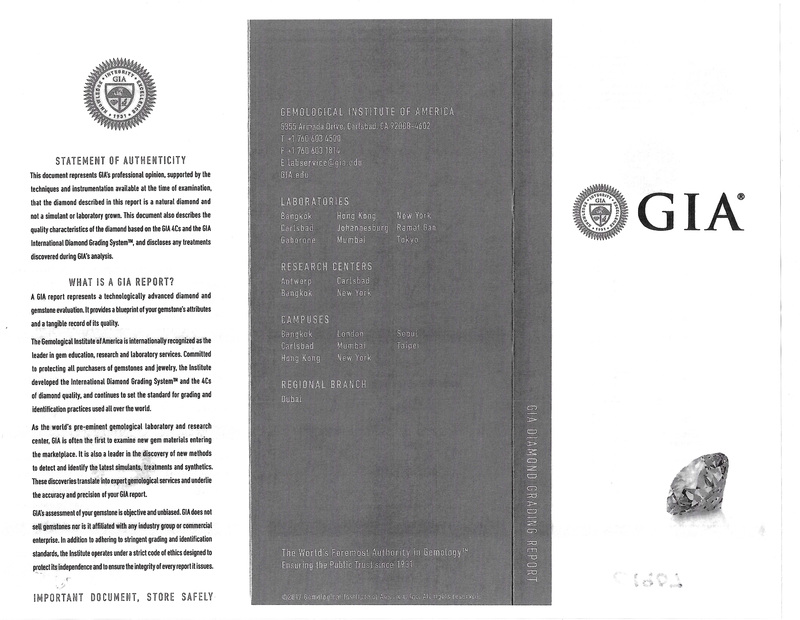 CONDITION: See description and GIA report number 1182887169.